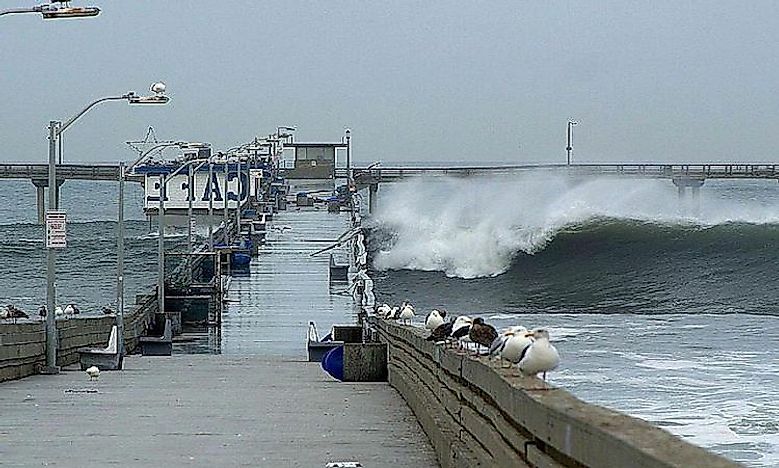 Could wild weather triggered by El Niño get wilder due to global warming? What does research say? Climate Change has already had some adverse effects on the environment from extended drought seasons to increased temperatures in the oceans. In recent years, scientists have embarked on research to assess the effects of climate change on El Niño. The phenomenon is associated with wild environmental conditions such as floods, droughts, and hurricanes and some research have suggested that such conditions will get intense in the context of climate change. El Niño is Spanish word for “little boy." What Is The El Niño Phenomenon? The El Niño climate system disrupts normal weather patterns and brings wild weather to various parts of the world. The event refers to the period when the Equatorial Pacific records unusually warm ocean temperatures. It occurs in a cycle called the El Niño Southern Oscillation (ENSO) together with La Niña, its opposite. The phenomenon is marked by the eastern Pacific having low air pressure while high air pressure is experienced in the western Pacific. The system occurs in a 2-7 year cycle. El Niño is characterized by the weakening of trade winds in the western and eastern Pacific, the warming up of surface water temperatures on the South American coast, and an eastward shift of clouds and rainstorms. El Niño brings about changes in regular weather patterns across the world. The primary effects of the phenomenon are precipitation and temperature changes, variations in the intensity and track of storms, as well as the disruption of ocean currents. The system leads to some negative consequences such as reduced fish populations which frustrate fishing communities such as those in Ecuador and Peru. The fish species migrate north and south in pursuit of cold water. El Niño causes drought spells in regions including Southern Africa, Australia, and Southeast Asia. Drought, in turn, causes fires, low agricultural production, and starvation. Other areas, such as the US and Chile experience increased rainfall which leads to floods and associated destruction. The changing climatic conditions can also facilitate the spread of plagues and diseases. The phenomenon has been blamed, in part, for the recent (2015-2016) Zika virus outbreak in South America. The warmer than usual conditions are conducive for the mosquitoes spreading the virus. Increased snake bites are also reported during an El Niño. The consequences of El Niño affect the economic, political, social, and health landscapes of many countries. El Niños are never similar, and no particular ocean and atmosphere patterns can be identified as the standard for the phenomenon. Three unusually intense El Niños have notably gone down in history. The first one occurred between 1982 and 1983, and it was marked by the reversion of trade winds. This El Niño was blamed for disasters ranging from droughts, storms, bushfires, to floods in almost every continent. The second super El Niño happened from 1997 to 1998 and scientists have also called the 2015 to 2016 one as a super El Niño. The concept of climate change has become popular across the world in recent years. The term means changes in normal climatic conditions. In the past, climate conditions such as rainfall, seasons, and temperatures, were predictable and informed activities including agriculture. This situation is no longer the case as climate is becoming more and more unpredictable. Climate change is used interchangeably with global warming to refer to the increasing surface temperatures on Earth. Human beings have been identified as the main contributors to this change. The burning of fossil fuels releases greenhouse gasses including carbon dioxide to the air which in turn trap heat in the atmosphere. Deforestation has also been identified as a major factor leading to global warming. Rising sea level, melting ice caps, intense heat waves, and an overall increase in global temperatures are some of the adverse effects of climate change. Scientists have identified distinct shifts in the behavior of El Niños since the mid-1970s. First is the tendency for more frequent and intense El Niños. The 1990-1995 El Niño, for example, was the longest recorded one in the current century. The past 50 years have been identified as relatively having more frequent El Niños. The two extreme El Niños of 1982-1983 and 1997-1998 have also been singled out as notable events of the century. El Niño is naturally occurring, and scientists are divided on the effects of climate change on the phenomenon. The causes of El Niño are yet to be clearly identified, and ocean temperatures are monitored to forecast the event. Climatologists have developed some models to determine the link between climate change and El Niños, most of which have predicted a high likelihood of El Niños turning into super El Niños. A study undertaken in 2014 predicts that Super El Niños may double in future in the context of climate change. The study was carried out by the use of 20 climatic models, and it concluded that super El Niños might, instead of taking place every 20 years, may occur after ten years. The study’s findings have however attracted skepticism from some scientists. Although the event has been happening for thousands of years, it was only a few decades ago that observational evidence began to be recorded. Thus, although scientists know there are lots of variations in El Niños over a long stretched period of time, more data is needed to predict El Niño changes. One aspect that scientists agree on is that the ocean has been absorbing increased heat since the industrial era began on Earth. As to how the ocean heat content will affect El Niño, no study has been conclusive. Some climate models suggest that the ENSO cycle will weaken, while others say it will be more intense, and still others say there will be little effect. Another school of scientists has suggested that El Niño will definitely be modified since it is operating on unchartered territory, i.e., that of climate change. Whereas the phenomenon is naturally occurring, climate change is human induced, and these two events have the potential to interact in ways never seen before. Climate Change - How Bad Can It Get?